You probably know how to find and buy stocks, but how do bonds work? Unfortunately, while online stock brokers have made stock investing child's play over the last 10 years, bond investing has been slow to catch up. In fact, on many online broker sites, online bond platforms don't even exist. That's made the world of individual bond investing pretty murky. You know that a certain percentage of your portfolio should be allocated to bonds (say 40% if you're in your 40s), but you've probably relied on bond mutual funds to do that. And that's not a bad thing: Bond mutual funds let you own bonds from hundreds of companies with only a small investment. They also have professional managers who can do research into bond investments for you. But bond funds also have one, significant disadvantage to owning individual bonds. when you'll get your initial investment back as long as the company doesn't default. The prices of bond funds, on the other hand, move up and down just like any other mutual fund. If you need your money on a specific date, you'll have no idea what your mutual fund will be worth. That can make investing in individual bonds preferable for people who need a specific amount of money at a specific time. For example, you might need to make a $40,000 tuition payment for your college-bound 16-year old in exactly two years. Invest $40,000 in two-year individual bonds, and you'll have that money back when you need it (as long as the company doesn't go bankrupt). But invest it in a bond mutual fund, and who knows what it'll be worth when it's time to withdraw? Although bond funds typically don't go down by large percentages, 2008 taught us that that isn't always the case. 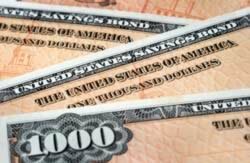 If you are saving for a time-sensitive goal (or need a stream of retirement income) and think you might be a candidate for investing in individual bonds, here's a primer on how they work. The Treasury department issues Treasury bonds to finance the operation of the federal government. In the same way, companies, states, and cities issue bonds to finance their own operations. Treasury bonds are considered to have no risk of defaulting. So when a company needs to raise money, investors will demand an interest rate that's a bit higher than what Treasury bonds are offering in order to compensate the investors for the risk that the company goes bankrupt. Let's say a company (I'll use GE just by way of example) needed to raise $100 million to build a new refrigerator factory and wanted to pay the money back in the year 2020. GE would look to the market to determine what interest rate it would need to offer to get investors to lend them the money. If investors demanded 6%, GE would issue $100 million in bonds with a “coupon rate” (the interest rate) of 6% that would be immediately bought by pre-agreed upon banks, funds, and sometimes, individuals. Most company bonds come in $1,000 denominations (the $1,000 is called “par value”). So for each $1,000 bond that the investor owned, he'd get $60 (6% of $1,000) per year, every year until 2020, at which time he'd get his $1,000 back. In between the time when GE issues the bond and the time when the bond “matures” (i.e. comes due), investors can sell the bonds on the secondary market. But just like a stock price, the bond price will fluctuate. Let's say GE issued that bond three years ago, and since then, the company's prospects of surviving until 2020, while still good, are decidedly gloomier. If an investor sells his bond today, the buyer will want an interest rate higher than the original 6% to compensate for the extra risk. GE will still pay the new investor $60 per year. So instead, the investor will want to buy the bond for less than par value. If the new investor buys the bond for $900, while the coupon rate will still be 6%, the yield will be higher — both because he only has to invest $900 to get $60 a year and because he'll get back $1,000 when the bond matures. The same thing can happen in reverse, and sometimes investors will buy bonds for above par value, reducing the yield. Unfortunately, small investors have a lot more trouble buying individual bonds than they do buying individual stocks. For one, there are simply a lot more bonds than there are stocks. Think about it: A single company could have a dozen times when it wanted to borrow money (meaning it'd have 12 different bonds on the market versus one common stock). But more important, the actual process of buying a bond isn't easy. Stock brokers most often act as intermediaries between buyers and sellers. Bond brokers, on the other hand, are often the actual investors who will buy or sell you the bond. So as an individual bond investor, unless you have multiple brokers, your investments will be limited to the bonds that your broker has in his inventory. Bond commissions can also be confusing. Whereas you might pay a flat commission to buy and sell stocks, the commission on bonds is built into the bond's price. So, for example, if your broker originally bought the bond for $1,000 and it yielded 7%, he might sell it to you for $1,100, in which case it would only yield 6.4% for you ($70 divided by $1,100). The spread between his buying price and his selling price is effectively his commission. Big investors, who can sink millions of dollars into a bond at once, also tend to get better prices than small investors, who might only be able to buy $10,000 worth of a bond. For the longest time, small investors couldn't see how much other investors were buying and selling bonds for, meaning that their broker could seriously rip them off. Fortunately, SIFMA has put together a website where you can look up the prices of recent bond transactions. All those caveats probably beg the question: Why bother? For investors just starting out or who have a small amount of their portfolios to devote to bonds (less than $100,000), the answer is, “Don't!” Just stick with a no-load, low expense mutual fund until you've amassed more. But investors who do meet that criteria can use bonds to create a predictable income stream — something that no bond fund can guarantee. There are 38 reader responses to "Investing 101: How Bonds Work". I wish there was a little more actionable stuff in this piece, but thanks for writing it. I keep putting off learning about bonds because I don’t need them in my portfolio yet. But all of the sudden it hits me that I’ll be thirty in a couple of years (jeez!–what happened?) and I should know this stuff up and down so when I need to add them to my portfolio I’m not scrambling. You buy a $1,000 bond at 6% for 20 years. The bond pays you $60/year (6%) every year. At the end of the 20 years, you get your $1,000 back. So you’ve invested $1,000 for 20 years, and the final value is $2,200 ($1,200 in interest payments, plus your initial $1,000 returned to you). That’s a CAGR of only 4.02%. Are these “effective” returns advertised anywhere, or are investors expected to calculate them themselves? If I were expecting a return of 6%, but only realized an effective return of 4%, that could seriously throw off my long-term planning. Your math is correct, the $60 is immediately paid out to you each year so it doesn’t compound. You could re-invest it, though, assuming you can find a fund at the same rate for that small of an investment each year. This would result in a final value of $2340 for $60 invested at 6% for 20 years adding $60 each year to that fund as the bond pays out. Final value of entire $1000 investment would then be $3340, 6.215%. Great introduction article Joe. Lots of good information to help people understand not only what a bond is, but specifically how they work along with the pros and cons. I think it is important to note that individual investors should not be purchasing INDIVIDUAL bonds. Purchasing individual bonds, like purchasing individual stocks, is speculation and not investment. I’ve read countless articles over the last year of people’s “SAFE” bond investments being wiped out. My blogging partner wrote a blog on this last week and included a quote from perhaps the most wise investor of the past 100 years – Benjamin Graham. Buying individual bonds, especially those that are not properly secured, is purely a speculative play and should be avoided. If one is to include bonds in their asset allocation, which most will, the vehicle should be a bond fund. Vanguard offers several muni bond funds that would be much better suited for the individual investor vs. purchasing individual bonds because of the reduction in risk diversifying your money over a fund of bunds offers you with very little impact on your return. An added benefit of these bond funds is their increased liquidity and lower transactional costs vs. an individual bond. Thanks for noting the difference between a coupon rate/yield and a compounded annual return. Unlike when you buy, say, a mutual fund and choose to have dividends reinvested, bond payments can’t be reinvested without you taking some sort of action. So, one big weakness of bonds is that those small coupon payments will have to sit in your brokerage account (unless you spend them) until you’ve accumulated enough to buy another bond. That’s one of many reasons why it’s only advisable to invest in individual bonds if you have more than $100,000 to invest (and even then, it still might not make sense unless you’re using those coupon payments for income). I’m not aware of a calculator that will calculate an “effective” yield as if you didn’t reinvest those coupon payments anywhere. Thanks for the note. I have a post coming on wordpress.investwisdom.com later today about beginning to construct a bond portfolio (estimated post time: 3 pm), but until then, check out the link posted at the bottom of the story. I’m going to have to disagree with you on the idea of individual bonds as being “purely speculative”. Though I most certainly agree that a diversified mutual fund is better for most investors. Ben Graham was actually a huge buyer of individual bonds. In his seminal work, Security Analysis, he actually spent about half the book talking about how to evaluate and buy individual bonds. Individual bonds are inherently less risky than individual stocks. Think of it this way, if you buy a bond from Wal-Mart and hold it to maturity. You get your principal back as long as Wal-Mart merely survives. Your principal in its stock, on the other hand, will fluctuate with the stock price. If Wal-Mart went bankrupt, your stock would be worthless. You’d likely not recover all your principal in your bond either, but it could be in the 20 cents to 50 cents on the dollar range. That said, for most investors in the accumulation stage, saving for a far off goal like retirement, a diversified mutual fund, as you mentioned, makes more sense. While it is true that it’s not easy to purchase individual bonds, you could buy Certificates of Deposit instead. But the CD rates are soooooooooooo low! Personally I’m not interested in individual bonds – I’d rather buy an index fund or ETF that buys the types of bonds I want. It’s hard to diversify unless you have a huge portfolio. Slightly off topic but as far as investing for the short term (ie 2 years) – I would suggest that bond funds of any significant duration should be avoided – either buy very short term bonds funds or just use a high interest savings account. Excellent introductory piece on buying individual bonds. Are there online brokers (like an E-trade) that will allow you to buy bonds online? I think Graham’s statement that he made very late in life was that buying individual stocks wasn’t worth the effort for the return because the markets had gotten too efficient and it was too hard to beat the index. He recommended buying low cost broad-based index funds. He didn’t say don’t buy any equities. For anyone interested, I posted a story on how to find individual corporate bonds to invest in at investwisdom.wordpress.com (or click my name). Where can I purchase these long term bonds? Of all these people that have been recommending bonds as a diversification strategy lately, how many of them actually *own* any bonds? Now I wonder. I think I’m with ABCs of Investing – I’d prefer to buy funds with either a mixture of bonds (say, a balanced mutual fund or something more conservative), or strictly a bond fund. Then again, I don’t do much single stock investing either. Not so much because I am afraid of the risk, but because I don’t have adequate time to do the homework required. I remember reading long ago that if you want to add bonds to your portfolio, to buy them directly rather than in a bond mutual fund because a bond fund holds more risk, especially when it comes to government bonds. With that in mind, I bought thousands of dollars’ worth of EE bonds years ago and am still earning 4-6% interest on them. To me, it’s not enough diversification to just own stock mutual funds and bond mutual funds. I think this is great for a ‘how they work’ article, but unless I missed something there’s a couple of kind of important things in there you should mention. First of all, bonds are not stocks…so people who have bonds in companies like AIG or GM aren’t losing money. So long as the government bails out companies like that, the bond continues to be a good idea (while stock in those companies have become iffy). In other words, the government won’t let the company default and so the bond continues to pay off. Second, I’d be careful. Because everyone is losing out on companies like AIG…except for the bond holders, you sort of have to worry that when everything shakes out, the rules for bonds may change. Not to rain on the parade. I know that bonds are complicated as it is, but when tax payers and investors lose lots and lots of money, they kind of get ticked that the bondholders are still making profits. I wouldn’t get involved in Credit Default Swaps right now, though technically, they’re still legal, because sooner or later, the legislation is going to fix itself. I might have been confusing with the passing reference to the 40% allocation…the conventional wisdom (which is right for most people, in this case) is to put a certain percentage of your portfolio in bonds through a bond mutual fund. This post is meaning to say that you shouldn’t bother with INDIVIDUAL bonds, unless your portfolio is very large. There’s a big difference there. So the portfolio of someone with little to invest might have all of his money in mutual funds, but 60% is in a stock mutual fund and 40% is in a bond mutual fund. Thank you for the article. I’m just learning the basics and this was a very interesting read. Now I need to find out if UK bonds work the same way. Helpful post. One point that might be highlighted more is the difference in risk profile between a bond and stock investment. In almost any bankruptcy, dissolution or restructuring scenario, the bondholders will be paid (if not 100 cents/$, at least something) ahead of the stockholders. For the years when stock prices seemed to only go up and companies weren’t failing, that distinction didn’t seem important. Now it does . . . Very good. I learned a bunch of new things about bonds that I didn’t know before. If I recall one of the issues GM is facing right now is a stand off with bond holders. GM wants the bond holders to take pennies on the dollar. The Bond holders obviously are against that. The government is trying to persuade those parties to come to terms. If GM files bankruptcy though, the bond holders likely will be wiped out. How do I cash in government bonds? Just take them to a bank? The issue is that bond holders will NOT be wiped out if GM files for bankruptcy. The bond holders think that they would receive more in a normal bankruptcy than they are being offered now. That is why there is a stand off. In a normal bankruptcy (who knows what the government might do) the bond holders are some of the first to get paid, so they usually come out pretty well. GM wants the bond holders to take less than they likely would if the company went bankrupt and the government is looming with a silent threat that the bond holders might not get treated like they would in a normal bankruptcy. @anne…All financial institutions should be able to cash your bonds whether you are an account holder or not. They should also NOT charge you a fee. If they try to, take your business elsewhere. Yeah, diversification is good, bonds are a way to do that, but if you’re a regular person, then what, buy a stock market index fund and a bond mutual fund? Is that advice solid or is that actually not practical either? I don’t know. All my retirement money currently sits in a stock index fund. I’m 28. I don’t really care to worry about where else it might be better put, especially since none of the ‘experts’ seem to agree. Thanks for sharing your insight. I’ve traded stocks and forex and usually overlook the bond section when I scan the IBD. I always like to go by the John Bogle rule of thumb where your bond allocation is roughly equal to your age. Some people may want a little more if they’re risk adverse and some may want less if there more aggressive. I prefer using a bond index fund rather than individual bonds as the expenses are much lower in my case. @Tyler: Your concerns are well-founded. Some market gurus correctly point out that bonds have handily beat stocks over the past ten years. Others (just as correctly) say now is definitely NOT the time to plunge into a bond fund, as NAVs will surely decline as interest rates go up. Tomes, volumes, have been written on bond investing. If you want to get really confused, try figuring out how the TIPS secondary market works. I think for the “bonds for dummies” crowd (and I count myself in the crowd), the basic rules are the best. 1. Segregate “special funds” (for emergencies, saving for a house down-payment, college for the kids) in ultra-safe cash or short-term nominal bonds (CDs are good). 2. For long-term goals (retirement), “age in bonds” is as good a rule-of-thumb as any. For most savers, a period contribution to a balanced fund, or (as you and others suggest) a bond fund, does the trick. 3. For folks nearing or in retirement, I would suggest tilting toward CDs in the “age in bonds” allocation. Here’s one formula. You’re 50, say. You have 50% of your AA in bonds. Also have 50% of THAT 50% in laddered CDs. If you’re 60, have 60% of your bond component in CDs. And so on (a person at age 100 would have all in CDs). You can achieve this by re-balancing periodically (once a year does it for me) or by tilting new contributions. I would definitely avoid jumping in and out of asset categories. That’s market timing. I wouldn’t recommend taking up bankruptcy as a line of work. First of all, payments on bonds cease during the actual bankruptcy/restructuring process, which can drag on for quite some time. So much for the regular income stream that individual bonds can “guarantee” (and, honestly, the mere use of the word “guarantee” in this context is a credibility-torpedo). Second, bondholders are not “among the first” to get paid in the event of a bankruptcy. Secured creditors (among others, including Uncle Sam) are ahead of you, and the kinds of shenanigans people use to get themselves secured-creditor status before and during bankruptcy would turn your hair white if you understood them. Which you won’t, because you can’t afford to hire a Wall Street law firm to handle it for you. Then you get to jostle at the trough with every other unsecured creditor. Third, there’s just no way to predict what you would get as a bondholder in a bankruptcy. You aren’t guaranteed a dime. Fourth, a company can default on particular debt without necessarily going into bankruptcy. Good luck on that lawsuit. I’m not saying that bonds are inherently suspect as an asset class, but if you’re worried about bankruptcy, you will still be screwed if you hold company bonds rather than stock. Thanks for your comment. I should have attributed “20 cents to 50 cents” so that it didn’t look like I was pulling that number out of thin air. That estimate (not for Wal-Mart but for bonds in general in the current recession) was given to me about a week and a half ago by the head corporate bond fund manager of Vanguard. While he can be wrong, I’m pretty sure his line of work does deal a lot with bankruptcy. The overall issue though is who is “less screwed” if a company defaults. Relative to stock holders, the bond holders are most certainly better off. There are four important issues with individual bonds that are either glossed over or ignored in this analysis. a) The biggest factor that effects bond prices in the secondary market is interest rates. If you have a bond that pays 6% and the company is now selling bonds that pay 7%, the value of your bond is going to drop. If you buy a 20 year bond, you can be guaranteed its value in the secondary market will fluctuate regardless of the financial health of the company. b) Because bond values fluctuate, you may take a loss if you need the money before they mature. Unlike a CD with penalties for early withdrawal, the amount of the loss from selling a bond early is unknown until it is sold. Of course, you might make money too. But if your first value is maintaining your principal, then you want to be very sure you can hold to maturity. c) It is very difficult for a small investor to put together a diverse portfolio of bonds. Without diversification, risk increases. So someone owning individual bonds, with the exception of US treasuries, is usually going to be at greater risk than the average bond holder. For example, if you put 50% of your investments in GM bonds 15 years ago, you have to be a bit uncomfortable at the moment even if you have a relatively conservative 50-50 split between bonds and stocks. And those “toxic assets” everyone blames for the financial meltdown were AAA rated bonds. 4) Which brings us to the last point, which is true of both individual bonds and bond funds. It is not really clear that the bond rating services have a good handle on the actual risk of the bonds they rate. Given the rapid pace of change in world markets, its not clear that anyone can accurately predict the financial health of individual companies 20 years down the line. Given that uncertainty, you might want to think twice about any significant investment in bonds that aren’t backed by the US government. Freddie Mac, Fannie Mae, Goldman Sachs, AIG, Bear Stearns – yes, Lehman Brothers and GM, no. I’ve just (very recently) started trying to educate myself about money and investments. Subscribing to this blog seems like a great first step, but I’ve been looking around at other sites as well. Through the magic of Google tracking what websites I’ve been visiting recently, I’ve noticed that I’m starting to see more and more advertisements related to investment opportunities. (Go figure.) Today, I clicked through to the one for GE Interest Plus (http://www.geinterestplus.com/), which sounds like an opportunity for an individual investor to purchase bond-like instruments in GE. I am curious to learn what folks know about this — it sounds like it is an unsecured investment (with no FDIC backing) that pays 2.7 to 3% backed by the health of GE. Are there other such investment opportunities, say for Boeing, or Apple, or Proctor & Gamble, etc…? How do folks learn about these other than through magical advertising? Is this a simpler way (and, therefor, one with a lower yield) to invest in bonds? Joe, I don’t think those figures are necessarily implausible as an *average* over time. The fact you seem to be fundamentally blind to is that you cannot rely on the average (whether that be return or value in bankruptcy) when you only hold a few bonds. You are pitching the concept of de-diversification, which means you *must* be able to accept the outlying outcomes. It sounds to me like you’re not even really admitting they’re there. I know in advance that 35% of the trades I enter will be losers anyway. That’s great, cause then you know that 65% of your picks are winners!